Honor MagicBook 2019 Launched for 3,999 Yuan ($597) in China - Playfuldroid! Honor had held an unveil event in China today to announce the Honor 20i mid-range smartphone. 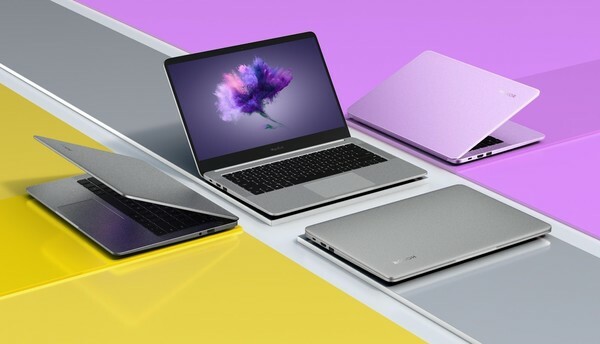 At the same launch event, the Chinese manufacturer unveiled the Honor MagicBook 2019 laptop as an upgraded version of the original MagicBook notebook that was made official in the previous year. Like the last year’s model, the Honor MagicBook 2019 is a lightweight and compact device. The metal-bodied device weighs 1.45kg and comes in three color options such as Starry Sky Gray, Glacier Silver and Nebula Purple. It features a 14-inch display that is surrounded by slim bezels. The device offers a screen space of 81 percent. It is powered by AMD Ryzen 7 3700U mobile processor that tags along Radeon RX Vega 10 graphics. The processor is supported by 8 GB of DDR4 2400 MHz RAM and it comes with 512 GB PCIe SSD. The Magic-link app available on the device enables seamless transferring of files between a Huawei/Honor phone and the notebook. It is packed with a 57.4Wh battery that offers a battery life of 10 hours. Its other features include a fingerprint reader, Dolby Atmos stereo surrounded, full-sized keyboard, 2×2 MIMO and Wi-Fi. On April 18, the Honor MagicBook 2 will go on sale. The base model with 8 GB RAM and 256 GB storage is priced at 3,999 Yuan ($598) whereas the higher model 8 GB RAM and 512 GB storage costs 4,299 Yuan ($642).